view of serpent-handlers and generate greater understanding of their contested beliefs. My project tells a story of sin and salvation, of conviction and contradiction, of hardship and hope. 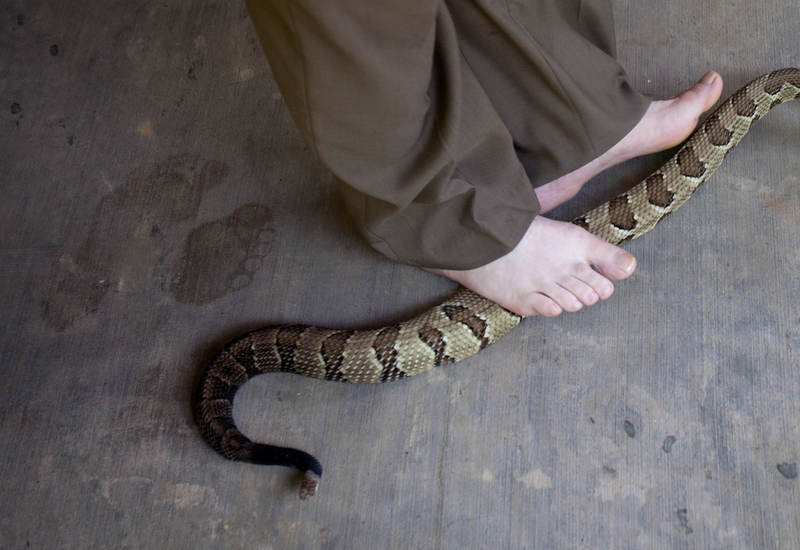 “Faith and Its Price” became deeply personal in May 2012, when I photographed the worship service where Mack, 44, was fatally bitten by a rattlesnake. As a photojournalist and outsider, I felt it was not my place to intervene to save the pastor, who did not believe in seeking medical attention for the bite, but instead trusted God to determine his fate. I powerlessly watched Mack place his faith in God’s will and die in front of friends, family, and my camera. Sharing this traumatic experience and the difficult emotions that it stirred – despair, anger, guilt, and eventually, forgiveness – with the Signs Following community reminded me of the fundamental humanity that connects us, regardless of our different religious beliefs. I will complete “Faith and Its Price” in this frame of mind, hoping to generate greater understanding of serpent-handling by portraying it on a human level. In the wake of tragedy, what do we learn from our experiences, and how do we persist in what we do and believe? It’s not that we necessarily that we put our faith God to heal as much as putting our faith in Him so that no matter what happens we believe that He is in control & whatever happens is His will.